Athens, GA – The University of Georgia has been named the top tier one research institution in the nation in Victory Media’s Military Friendly Schools 2017 rankings. The designation recognizes the university for its outstanding commitment to and programs for student veterans and their families. Nearly 1,200 colleges and universities nationwide have achieved the Military Friendly designation, which results from a comprehensive school-by-school assessment of veteran and military student success rates. UGA’s comprehensive service to student veterans is the result of collaborations across multiple divisions and departments, including Academic Affairs, Student Affairs, the Office of the Dean of Students, UGA Athletics and the Student Veterans Resource Center. Founded in spring 2013, the SVRC serves as the go-to location for wayfinding and entry into an array of services provided by the university, while offering wide-ranging support to and advocacy for student veterans. Kyle McReynolds, president of UGA’s Student Veterans Association, says the partnerships among campus divisions and departments, as well as community support, have positioned the university to achieve the premier designation. McReynolds is a U.S. Air Force veteran from Warner Robins studying business management. He also served as student office manager for the SVRC. Senior Vice President for Academic Affairs and Provost Pamela Whitten noted that the ranking highlights the broad range of support and services that UGA offers for student veterans. Ted Barco, SVRC director, said the designation is a testament to the quality of UGA’s academic programs in addition to its service to student veterans. “This recognition affirms UGA’s strong academic tradition, while also highlighting the university’s commitment to our student veterans; a commitment that is increasingly reflected in our policies, facilities, programs, partnerships and outcomes,” he said. Bill McDonald, dean of students, said the military friendly designation acknowledges the quality of the current veterans pursuing their degrees here. For the full Military Friendly Schools rankings, see http://militaryfriendly.com/schools/. UGA was also recently named one of Military Advanced Education magazine’s “Top Schools” for 2017. UGA will be included with other colleges and universities that provide outstanding service to military veterans in that publication’s 2017 Guide to Colleges and Universities. The university was honored again this year by Military Times Magazine as a “2017 Best for Vets” institution and continues to maintain active affiliation with both the Student Veterans of America and the Got Your Six campaign, through which faculty and staff attend training sessions to become certified as veteran-friendly. The Student Veterans Resource Center is a department within UGA Student Affairs. 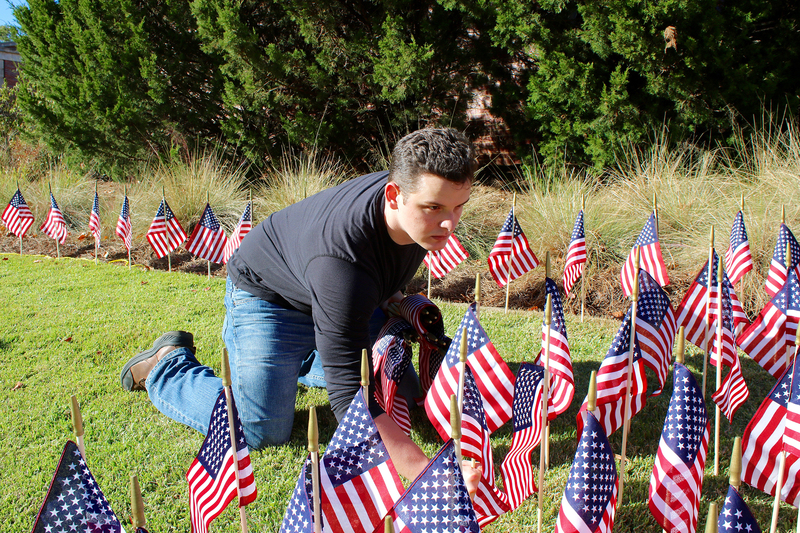 For more information about services for student veterans, call 706-542-9629 or see http://svrc.uga.edu. The Division of Student Affairs comprises 18 campus departments that enhance the learning environment for students at the University of Georgia by stimulating the learning process; integrating in-class and out-of-class experiences; promoting an environment conducive to growth and discovery; and facilitating intellectual, spiritual, social, occupational, physical, cultural and emotional development. For more information, see http://studentaffairs.uga.edu.